Voice Recognition Software: Just "Talk It Out"
Having good content on a website is always important because it is that content upon which both search engines and customers make decisions about your website. The better it is – with regards to focused keywords, information, and style – the more likely a website is to draw search users from search engines and convert them to customers. Blog content is equally important. The more fresh and relevant blog content is, the more likely it is to attract both customers and inbound links. One of the biggest gripes I hear from clients about blogs, though, is the process of creating regular and ongoing posts to a website. Understandably, they don’t have time; they don’t have enough ideas; and/or they just plain can’t get in the habit of writing for blogs. Recently, I suggested to a client struggling with her blog that she do what I often do – speak the post instead of type it. The change in process can make all the difference in the world. Speak it, she asked? Yup. 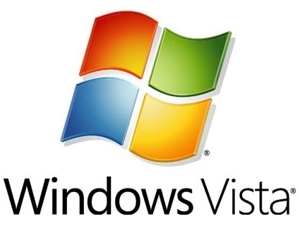 If you have Windows Vista, you already have some of the best voice recognition technology in existence just waiting for you to take advantage of it. Why not harness that software (perhaps the best and coolest part of the dreaded Vista operating system) to speak your blog post rather than type it? In fact, while browsing through industry and company news, why not spit out (literally) several posts for the week in one sitting? Even the Home Basic version of Windows Vista contains a powerful speech recognition system; all you need is a decent microphone headset. As it turns out, Microsoft has invested quite a bit into speech recognition over the years. Some of what they study in the R&D labs is years away from being a product, but there’s a lot of new fancy speech recognition technology built right into Vista. My client was apprehensive, as well she should have been. Just search Google for “speech recognition gone awry” and you’ll find a hilariously embarrassing video of a presentation done by Microsoft as it introduced its speech recognition tool. But rest assured, the tool works much better than what you’ll see on YouTube. The most important thing is to have a good microphone which, ironically, I don’t think the Microsoft demonstrator had. Spend the extra money on a decent headset microphone (the program won’t work unless it senses a microphone hooked up or built into the computer), and this can really work for you. Once you’ve completed the tutorial, which also acts as a way for the program to learn your speech patterns, a speech recognition panel will fix itself to the top of your screen. Your computer will then begin interpret everything spoken into the microphone as either a command or dictation. Explore the program further on your own. Suffice it to say that the Vista speech recognition isn’t faultless, but I was impressed by the level of functionality it offers. Vista speech recognition is certainly good enough for dictating blogs or even other website needs, like product descriptions and press releases. And, if you can associate your blog writing time with the use of this voice recognition tool, it might just become a habit that reinforces itself. So, try this: open up the voice recognition program; open up MS Word or any other text program; open up Google News in your browser; search your industry terms; start talking about what you’re reading; save the text file; edit for format. Presto! There’s a blog post, and if you talk a lot, maybe even a few of them.